1. 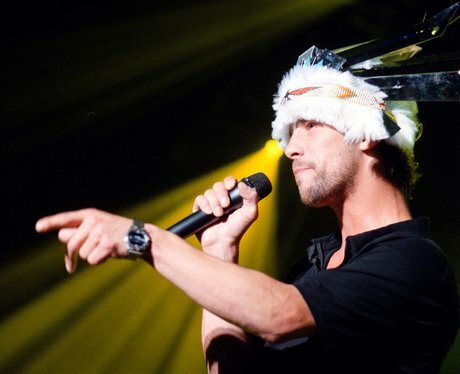 15: The number of nominations Jamiroquai have secured without winning a single award. 2. Three: The number of tiers in the dress Lady Gaga wore to the BRIT Awards in 2010. 3. 17: The numbers of awards won by the BRITs' biggest winner, Take That Star Robbie Williams. 4. 46: The number of chart positions Adele's 'Someone Like You' climbed following her 2011 performance. 5. 60: The number of chefs that will serve food to the stars at London's O2 Arena. 6. 300: The number of viewers who complained after Russell Brand hosted the BRIT Award in 2007. The comedian made a crack about Robbie Williams' stint in rehab, which viewers took offence to. 7. 442: The total number of BRIT Awards that were handed out between 1977 and 2009. 8. 5,500: The number of kilograms of ice that were used at the BRIT Awards last year. 9. 41,320: The number of pounds Geri Halliwell's infamous Union Jack dress fetched at auction in 1998. 10. 1000: The number of nails that will be painted backstage in the special spa area. 11. 1: The number of tonnes of fillet steak which is being prepped for the main course menu. 12. 2000: The number of fake moustaches which will be available to play with at the after party. 13. 6: The most amount of nominations recived by a single act in one night (Robbie also got six). 14. 12,000: The number of metres of carpet which will be used at London's O2 Arena. 15. 35: The number of km of cables which will be used to put on the BRITs 2013.